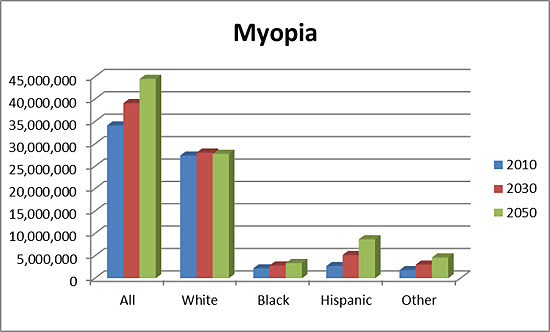 As indicated by the National Eye Institute, the prevalence of myopia is rapidly rising in the US. Our research lab focuses on better understanding the mechanisms of myopia development and progression and novel treatment options. We are a unique group of researchers with diverse expertise that focus on both animal and human models of myopia. 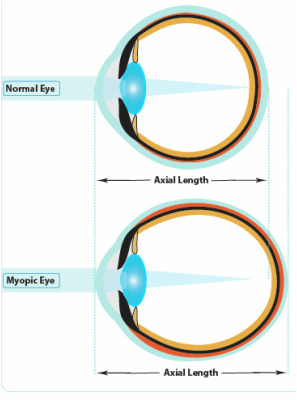 The main focus of our research is refractive development and myopia (short-sightedness). Myopia is a very common ocular disorder, with significant impact on health care costs, related to its management with spectacles, contact lenses and refractive surgery, and to the treatment of its complications, high myopia being a leading cause of blindness. What aspects of visual experience and associated retinal images underlie myopia? What are the ocular growth signals and how are they signaled from the retina and sclera? Is it possible to inhibit myopic growth pharmacologically in ways that may be suitable for use in humans? Why role does excessive near work play in the development of myopia? What aspects of outdoor activity might be protective against myopia? How do the choroid and sclera contribute to emmetropization? What treatments can be done to stop the progression of myopia? What is the role of optical aberrations in myopia development?